A consortium of entrepreneurs, scientists and investors can tap $3.5 million in federal funds over the next three years to try to improve the health of people in Maine and other parts of the Northeast. The Driven Biomedical Technology Accelerator Hub, which is just starting up in Maine, will provide investment, education, mentoring and other resources to move life sciences discoveries from the lab to the market by creating new biomedical companies. “The goal of the hub is to create an ecosystem that doesn’t exist in Maine,” said Kevin Strange, a co-investigator in the Driven program. Strange is the former president of the MDI Biological Laboratory in Bar Harbor and president of startup company Novo Biosciences. The U.S. National Institutes of Health’s National Institute of General Medical Sciences is funding the accelerator program in four regions nationwide. The NIH funding will be used to administer the program and provide resources to get new companies off the ground. The Northeast region includes Maine, New Hampshire, Vermont, Rhode Island and Delaware. Kevin Strange, co-investigator with the DRIVEN biomedical technology accelerator hub, a consortium of entrepreneurs, scientists, biotech companies and investors started by the U.S. National Institutes of Health to stimulate medical startups in the northeast and three other regions of the United States. Strange is the former president of MDI Biological Laboratory in Bar Harbor and president of biomedical startup Novo Biosciences. 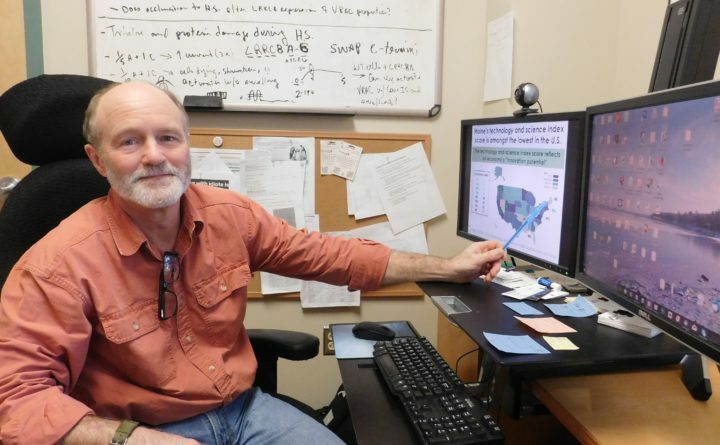 The hub is part of the NIH’s Institutional Development Award program, which aims to build research capacities in states, including Maine, that historically have had low levels of NIH funding. Maine has two members in the program: the MDI Biological Laboratory in Bar Harbor and Maine Medical Center in Portland. “Sharing among all of the states will increase the probability of success. The grant also provides some startup expertise that, when combined with places like the Maine Center for Entrepreneurs, will also increase the chance of successfully launching meaningful products and growing jobs locally,” said Todd Keiller, director of technology transfer at Maine Medical Center Research Institute. company out of MDI Biological Laboratory, and Cyteir Therapeutics, a cancer therapy company out of Jackson Laboratory that is now located in Lexington, Massachusetts. Strange said the approach with the new hub, which will include not only scientists but also businesses and investors, aims to boost the number of startups by having the necessary help in place, including basic business skills for scientists. It also will try to attract high net worth individuals to invest in the companies. Other members of the hub are Brown University in Providence; Dartmouth College in Hanover, New Hampshire; Celdara Medical in Lebanon, New Hampshire; University of Delaware; University of New Hampshire; University of Rhode Island; University of Vermont; and Simbex, a medical devices design company in Lebanon, New Hampshire.